“Patriotism is not a short and frenzied outburst of emotion, but the tranquil and steady dedication of a lifetime.” says Kunwar Vijender Shekhar, Pro-Chancellor of Shobhit University on his facebook page. A lot of homage-paying ceremonies, human chains for unity etc are taking place to mark the first anniversary of Mumbai attacks of 26/11. Most of these are plain gimmicks. 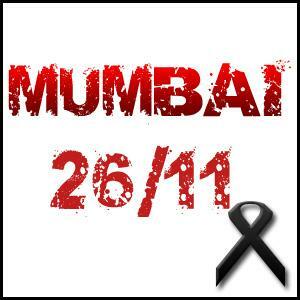 I overheard someone retorting in one of the ceremony 26/11 mubarak ho! Big S@#$. These homages are not introspection of any kind, they are just photo-ops. So began a journey to identify real patriots. Living ones’ who can be Nation’s role model. Not very late I believed Bal Thackeray to be a real patriot, the Nationalist. But the Sena chief’s recent outburst against Sachin Tendulkar makes me believe that political class have misused the emotion of patriotism to serve their interests…real patriots remain unsung! If there are a few people in this country who turn non-issues into issues and disturb the social fabric, tarnishing the image of India, there is no dearth of people who do vice versa. Kunwar Shekhar Vijendra, Pro Chancellor, Shobhit University, whom this scribe met the other day on November 26, 2009, is a man with a difference. He is not only a firm believer in India’s exemplary pluralistic thought but also tries to practice it in his usual routine life. He is, in fact, an incurable optimist in communal harmony. He hails from Gangoh, known for exemplary communal harmony. Gangoh lies in a belt known for producing well known personalities like Hazrat Qutub Alam Gangohi, Baba Hari Das, Sulaiman Gangohi, Rasheed Ahmed Gangohi and Maulana Qasim Nanotvi. The last two are known to play a pivotal role in the foundation of Darul Uloom Deoband, an internationally renowned Islamic seminary. These personalities also remained in the forefront of the Independence struggle since 1857. To him, Gangoh is not only a qasbah but a composite culture itself. That’s why there is found here no communal feeling among the followers of different religions, and it has emerged as the best example of communal harmony and co-existence. “I am a Hindu by faith but I fast on the last Friday of the holy month of Ramazan every year since my childhood,” he acclaims. And, this is not limited to a token demonstration of one’s inner feeling and respect for other religions but found in his every day life and practices. What Kunwar Shekhar says is the general feeling. The Tibetan spiritual leader Dalai Lama said at the three-day long 18th annual conference of the Vitro-Retinal Society of India in Palampur on November 26 that the world must learn religious harmony from India. Kunwar Shekhar Vijendra is among a few persons who don’t live with the history, rather tries to change the course of the history. He wonders as to why today’s children find their heroes in Shah Rukh Khan, Salman Khan, Aishwarya Rai and other cine stars instead of Gandhiji and other national heroes as well as religious figures. In connection with the centennial celebration of the publication of Gandhiji’s 1909 book “Hind Swaraj”, Shobhit University in collaboration with Indian Council of Gandhian Studies, Nehru Yuva Kendra Sangathan and Hinsa Mukt Bharat Andolan organized on November 15, 2009 a seminar, inaugurated by its Vice Chancellor Dr Anoop Swarup and participated by Additional Solicitor General of India Bishwajit Bhattacharyya; Gandhian scholars Dev Dutt and Anil Mishra; Indian Council of Gandhian Studies Chairman Prof N Radhakrishnan; and Prof Pradeep Mathur among others. A large number of students enthusiastically participated in the programme and shared their feelings. They were overzealous to know about the writing of Gandhiji much before his coming back to India from South Africa and attaining the prefix of “Mahatma” to his name. Says: Kunwar Shekhar: “Our national heroes have not lost charisma, rather we have lost them. Even today if we make them the topics of our discussion, there is no reason as to why our children won’t take interest in them.” It is to point out that Shobhit University announced on this occasion to introduce “Gandhian Way of Journalism” in its course of study. It pains Kunwar Shekhar to see the decline in values, particularly moral values and discipline among the new generation. That’s why the topic of the seminar was “Education for Nation-Building and Civilizational Issues in ‘Hind Swaraj’”. The only slogan of this man is “Each One Teach one”. One hopes that in an era of moral and value degeneration, his dream would one day take a shape and become a reality.